You save $94.05 Over 53% saving! 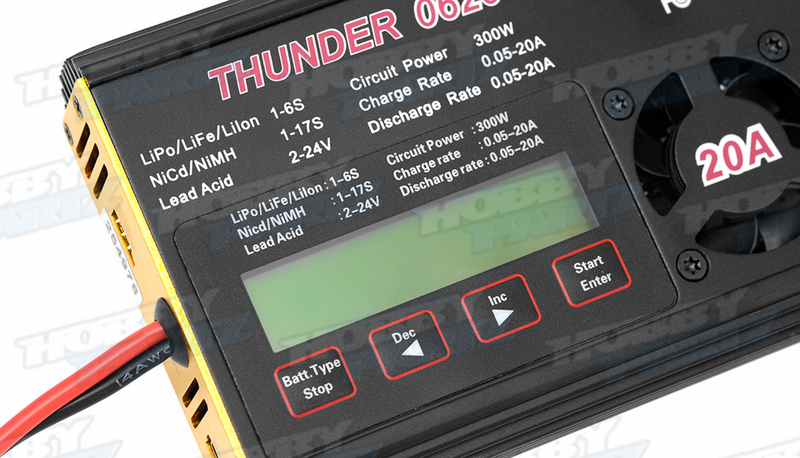 The Thunder 620 Charger is capable of charging a variety of batteries. 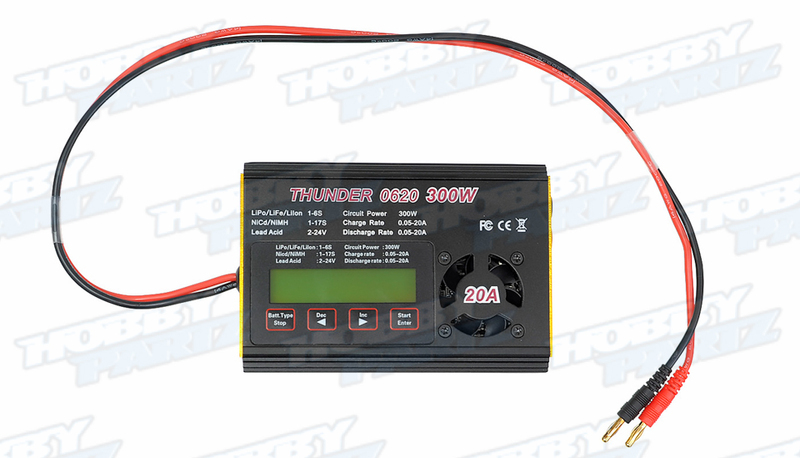 It has the ability to charge up to 300 watts and deliver that power with up to 20 amps of current. This charger has a single output with high current capacity. 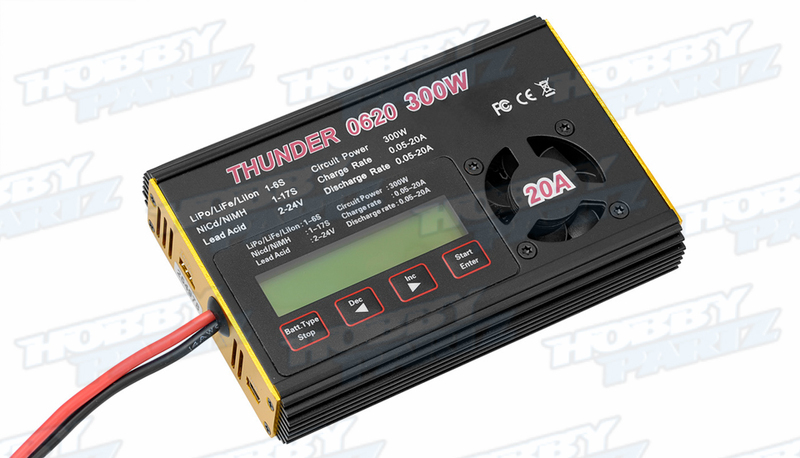 The Thunder 620 will accept Li-Po, Li-Ion, or Li-Fe batteries up to 6 cells. It will also charge Nickel variants up to 17 cells and Lead Acid batteries up to 24Volts. With multiple safety features and data processing, this charger informs the user of battery condition and charge state at any time. This charger does not have an internal power supply so an external DC power of 10 � 28 Volts will be required. A 12v battery from your car will suffice, however you do want to ensure you have ample capacity in your car battery so you are not left stranded because of this chargers powerful charging ability. 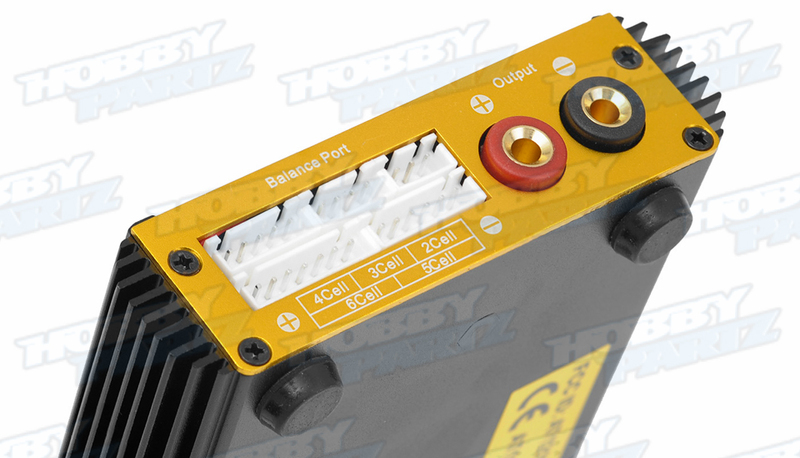 Operating Software � The operating software in this charger is executed with mutual links and communications with every component to prevent error to provide maximum safety. The charging algorithm is multifarious allowing you to select the best program to suit your requirement. 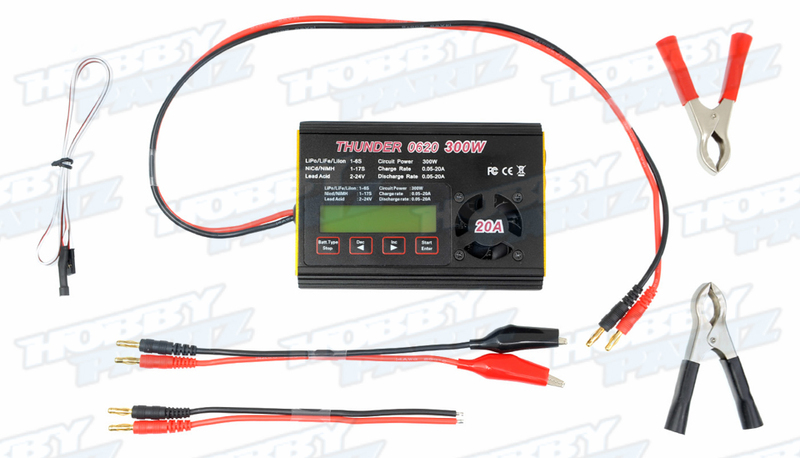 High-Power output circuit � The Thunder 620 Charger employs the circuit that features high power output which are powered as much as 300 watts. As a result it can charge and discharge batteries in a quick timeframe.